UK Gospel’s BEST Praise/Worship Leader “Muyiwa and Riversongz” release NEW CD “Declaring His Name Around The World” Listen to “Holy, Holy, Holy” an AMAZING Worship SONG!! This CD is AMAZING and FULL of some of the most cultured and beautifully made music to lift up the NAME of The LORD! This CD is INCREDIBLE!! From the music, the vocals, the arrangements, the guest artists… WOW!! 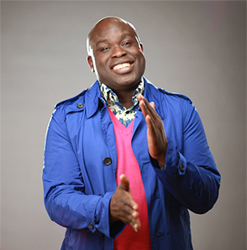 As a singer and broadcaster Muyiwa’s deep rich voice has reached millions in Europe, Africa and the USA. In 2009 he was the first international artist to appear on the American BET channel at the annual “Celebration of Gospel”. Earlier this year he presented the “Turning Point” program to an estimated global audience of 70 million. 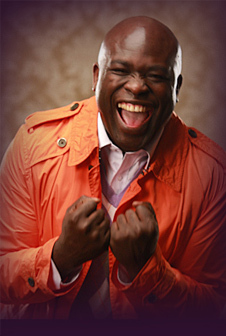 Now with his fusion of soul, RnB and Afro-beat, featuring collaborations from Gospel favourites Darwin Hobbs and Mary Alessi as well as the multi-talented Riversongz and produced by the Grammy Award winning Kevin Bond, “Declaring His Name all around the World” is a natural progression to his previous 4 CD/ DVD releases. The sheer power and poignancy of Muyiwa’s unique sound is simply too strong to stay a purely gospel secret. Yet, his music that brings so much joy is the product of early personal suffering. Since his last album, which reached Number One on the HMV blues and soul chart and stayed there for five months, Muyiwa has successfully toured the UK for the second time and sold out Indigo 2 at O2, a feat never achieved by a UK gospel act previously, although it follows another personal success of a sold out Ocean in Hackney. He was also appointed Station director of Premier Gospel that has had a remarkably successful impact in uniting black churches nationwide. “Declaring His name all Around the World” will be released on CD and digitally on 29th August 2011. 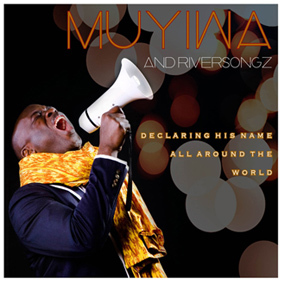 ‘Declaring His Name All Around The World’ is Muyiwa & Riversongz latest studio offering produced by GRAMMY Award winning producer Kevin Bond (T.D Jakes, Marvin Sapp, Donnie McClurkin, Kurt Carr). Through-out the album Muyiwa & Riversongz take listeners on a journey around the world from the Indian infused ‘The Name Of The Lord’ to the melodic reggae grooves of ‘Jehovah Jireh’ exploring the sounds of central Africa with some Afro-Beats on ‘Only You Be God’ and even some authentic UK styled praise and worship on the funky ‘King Of Kings’. Featuring on the album is Stellar/Dove nominated artist Mary Alessi on the energetic, tightly arranged and sure to be fan favourite, ‘I Will Call On Him’. Also featuring on the album is Dove award nominee Darwin Hobbs on the harmonious worship ballad and confession of love ‘I Love You Lord’. Muyiwa’s unique presence, rich, deep voice and sense of humour and the dynamic silky smooth vocals of Riversongz make ‘Declaring His Name All Around The World’ an instant classic giving their fan’s more of what they love and is sure captivate a new audience with the unique, eclectic fusion of styles and genuine praise and worship.